It all started with 444 executives from European firms gathered together in 1971 in the Swiss Alps town of Davos in what was originally called the European Management Symposium. 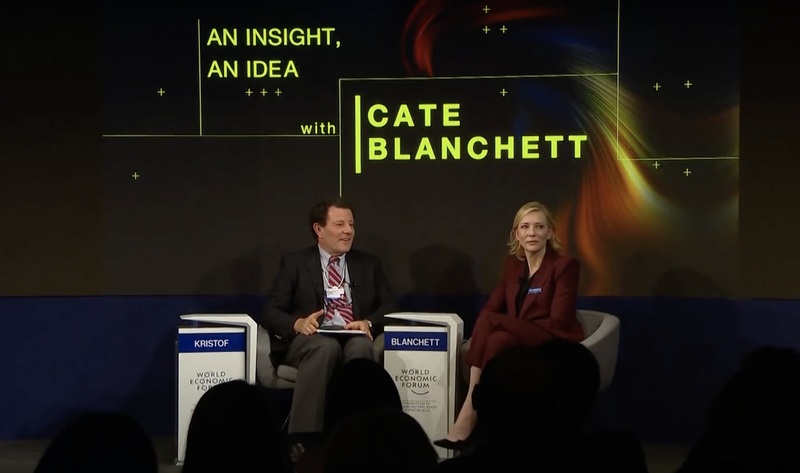 Today, the nonprofit World Economic Forum is an annual summit of some 900 world executives and 70 political leaders – among the occasional celebrity (Elton John, Will.i.am, Cate Blanchett and co) – all brought together to discuss some of the most pressing issues of today. Keeping true to the etiquette of banquets or pure theatre, each year the World Economic Forum, monikered Davos, carries a masquerade theme; this year was appropriately given the ‘Creating a shared future in a fractured world’ aesthetic, where terms such as ‘the disenfranchised’, ‘the rise of populism’ and ‘gender equality’ are thrown around like the confetti insides of a party popper. Since opening its grandiose doors this Tuesday, January 24, to the powerful voices – for better or worst – of current times, Canadian President Justin Trudeau has reiterated the importance of the #metoo movement and that “we must each have a well understood established process in place to file allegations of workplace harassment.” When addressing the rise of populism, German chancellor Angela Merkel exclaimed that “The lesson that we drew at the formation of the United Nations [after the Second World War] was a lesson of multilateralism – an answer of cooperation.” While Cate Blanchett tearfully called for more compassion in the treatment of now 65 million displaced people the world over. This year’s conference also saw Salesforce chief executive Marc Benioff advise that Facebook, among other social media platforms, should be regulated in a similar way to tobacco products because of their harmful and addictive nature. Whether the insightful back-to-backs scheduled for the duration of the four day conference have much effect beyond the borders of the Swiss Davos is up for debate, but as the days unroll, the arrival of President Trump is nearing and with that the squandering of progress – any which progress – that might take root. High profile, highly reported world summits such as this, alongside the G20 and the World Climate Summit seem to further perpetuate the disillusionment they wish to tackle. For every #metoo uttered out, every ‘disenfranchised’ person pitied, or every displaced nomad looked at as a problem not the solution, the WEF fails time and time again to achieve what it set out to do.